My 8th grader is not strong in language and grammar and will be starting high school this fall. I have been home schooling her for the last 4 years; she has always struggled with this. Her Terra Nova scores were great in all subjects but this. Any ideas how I could help her? She doesn't enjoy writing unless it is about science. Her new high school is a Christian one and it is looking like it will be a challenge for her. 1. Since she likes science so well, have her write a few short articles about something that interests HER. 2. Encourage her to read good literature. She will learn how to write and speak well just by reading. Here are some of our favorite books on the Middle School Book List. 3. 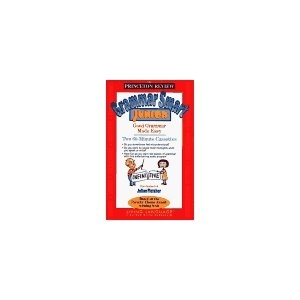 See if you can find LL Princeton Review Grammar Smart Junior at your local library. It has 2 tapes that are very fun to listen to. Put it in over lunch, you'll be surprised even what you'll learn! 4. 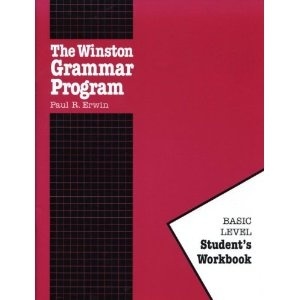 We also liked The Winston Grammar Program: Basic Level Student's Workbook . She could easily get through the book during her summer break. You may find it used. 5. 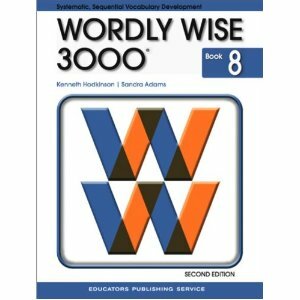 Wordly Wise 3000 Book 8 would also challenge and improve her language and grammar. My children worked on one chapter of this book every Friday.